"What about the most valuable relic in the history of English literaturewould that be worth killing for?" When it opened in 1957, the Robert Ridgefield Library had been the tallest building in Ridgefield - a nine-story neoclassical behemoth of granite and glass, columns and cornices, with an incongruous cupola perched uncomfortably on top. The Ridgefields had come to North Carolina from Scotland just after the revolution and had spent the next two centuries going from success to success. A moderately wealthy nineteenth-century merchant family, they had become impressively wealthy in tobacco, then excessively wealthy in textiles, and now obscenely wealthy in banking. Along the way, they had turned a backwater two-year Bible college into the nationally recognized Ridgefield University. It's ironic that Robert Greene's most immortal words are those deriding Shakespeare as "an upstart Crow" (p. 31). Can you think of any other writers who were belittled by their contemporaries but went on to achieve greater and more enduring fame? Consider Dr. Strayer's "typed list of things [Peter] needed to do in order to move on with his life" (p. 7) after Amanda's death. Can following such a list help someone recover from grief? Charlie Lovett’s The Bookman’s Tale is a literary mystery spiced with intrigue and conspiracy. It is also a poignant story about one antiquarian bookseller’s recovery from the loss of his beloved wife. Lovett, himself a former antiquarian bookseller, weaves an engrossing tale that contemplates the influence of literature, the pain of death, and the power of redemption. (Reviewed by Sarah Sacha Dollacker). A Bookman’s Tale has plenty of richness to offer….Daring intricacy. The Bard is back in this rollicking literary mystery….This novel has something for everyone: William Shakespeare, a love story, murder and even a secret tunnel. All too good to resist….The Bookman’s Tale is a book about books, written for lovers of books. Fans of mysteries, of love stories, and of rare books will all find moments in Lovett's novel to treasure. A pleasurably escapist trans-Atlantic mystery is intricately layered with plots, murders, feuds, romances, forgeries - and antiquarian book dealing... A cheerily old-fashioned entertainment. Starred Review. 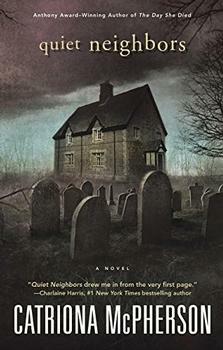 A gripping literary mystery that is compulsively readable until the thrilling end. For fans of Geraldine Brooks's People of the Book, Shakespeare aficionados, and bibliophiles. I don't read much fiction. I'm picky. But I loved racing through Charlie Lovett's The Bookman's Tale, a richly rewarding thriller filled with real-world details about the discovery of a rare book that may or may not be a priceless Shakespearean artifact. Fun for everyone who's ever fondled a soft leather binding! With The Bookman's Tale, Charlie Lovett tells us a terrific story - there's mystery and suspense, murder and seduction - but more important, he shows us how it's all connected, all of this: the reading and the keeping and the sharing of books. It forms a chain long and strange enough to tie a heartbroken young scholar from North Carolina back to the Bard himself, who might or might not have been William Shakespeare. Every link along the way is a bookman's tale all its own, and Lovett tells them all, except the very last, of course: because that's you, about to read this book right now. Lovett's novel, The Bookman's Tale, is a marvelous new Shakespearean mystery: an intelligent thriller that is also a love song for books and the people who relish them. Lovett knows his stuff about Shakespeare, rare books, and the passions that both inspire, and he weaves from these a delicious tale of love, loss, and the thrill of discovery. It kept me turning pages till the wee hours for days. The only disappointment was that it came to an end. When Peter discovers the watercolor of the woman that resembles his dead wife, he is standing in a bookshop in the small town of Hay-on-Wye, Wales, in the United Kingdom. This town, known as the town of books, has a population of 1,500 but boasts nearly 30 bookstores. 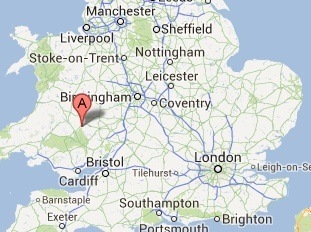 Hay-on-Wye is about three to four hours' driving distance from London.